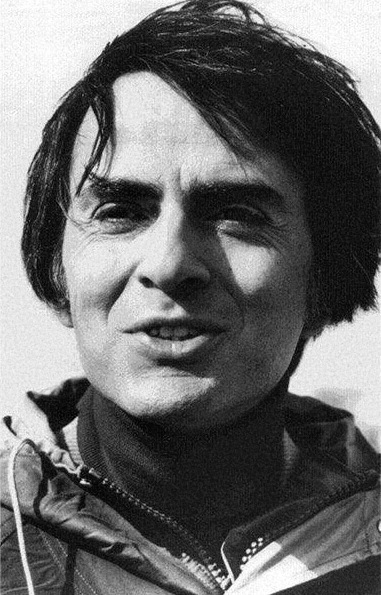 The issue of Abortion is a very central one in our culture today and I will do a series of posts on my correspondence with Carl Sagan concerning this issue. 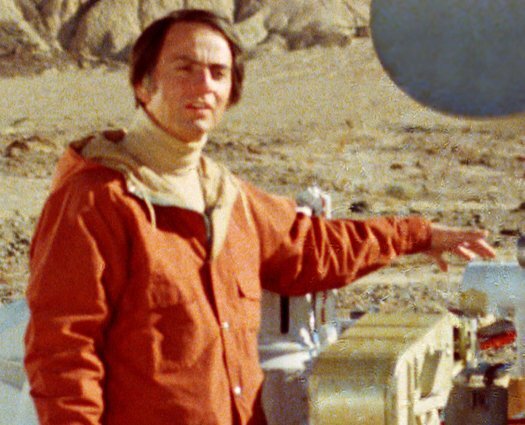 Recently I have been revisiting my correspondence in 1995 with the famous astronomer Carl Sagan who I was introduced to when reading a book by Francis Schaeffer called HE IS THERE AND HE IS NOT SILENT written in 1968. For the complete text, including illustrations, introductory quote, footnotes, and commentary on the reaction to the originally published article see Billions and Billions. The issue had been decided years ago. The court had chosen the middle ground. You’d think the fight was over. Instead, there are mass rallies, bombings and intimidation, murders of workers at abortion clinics, arrests, intense lobbying, legislative drama, Congressional hearings, Supreme Court decisions, major political parties almost defining themselves on the issue, and clerics threatening politicians with perdition. Partisans fling accusations of hypocrisy and murder. The intent of the Constitution and the will of God are equally invoked. Doubtful arguments are trotted out as certitudes. The contending factions call on science to bolster their positions. Families are divided, husbands and wives agree not to discuss it, old friends are no longer speaking. Politicians check the latest polls to discover the dictates of their consciences. Amid all the shouting, it is hard for the adversaries to hear one another. Opinions are polarized. Minds are closed.. Sometimes people want to separate reality from their political and social views. Many liberals I have talked to refuse to admit that there is a notable size of Muslims who actually believe in Jihad. It is true that in the ancient history of Christianity there were religious wars, but today the murders by religious zealots are done primarily by Muslims. In the movie Contact we see Carl Sagan’s view that radical Christian zealots are willing to attack peace-loving people. Based on the book by Carl Sagan (famous atheist astronomer). Starring Jodi Foster as Dr. Eleanor (Ellie) Arroway and Matthew McConaughey as Palmer Joss. 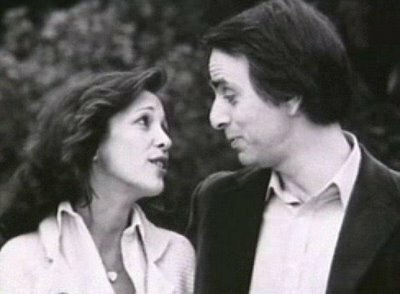 I think that Carl Sagan sees himself as a real-life Dr. Eleanor Arroway. He sees himself as one independent thinker amongst a sea of religious/militaristic/governmental zombies. He is Jodi Foster, sitting there in front of a board of interviewers, battling that scourge called “religion” that oppresses ninety-something percent of the world. Much like Jodi Foster, Sagan is determined to prove that wormholes and aliens exist, which will, in turn, prove that God does not exist. Step aside you bomb-strapped Jesus freaks! Step aside you closed minded military guys who wants to nuke the world… make way for progress! Make way for Science! Seriously, though, Sagan must have had a few disenchanting experiences with religion, probably some sect of Christianity. The same is probably true of Jodi Foster as well, or else she would not have taken that role. 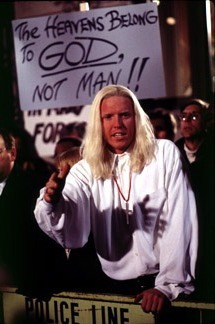 Two other characters in the film outline Sagan’s view of the modern evangelical right. The long-haired preaching zealot is portrayed as a dangerous man, out of control and out of touch with reality. He later borrows a trick from Muslim fundamentalists by sacrificing himself in an attempt to derail the multinational project to build the travel machine. Sam Harris rightly noted earlier on Bill Maher’s show that liberals are still getting “agitated over the abortion clinic bombings that happened in 1984” but they are not upset at what is happening in the Muslim world right now!!!! There is really no comparison at all between Christianity and Islam concerning the areas of freedom of religion, freedom of the press and political freedom. I was saddened to learn of the passing of Dr. Nicolaas Bloembergen on September 5, 2017. I always enjoyed corresponding with him during the last three decades. He brought up the issue of Religious wars to me in 1995 which I responded to him back then, and also he discussed the issue of abortion with me. I also took the time to write him back concerning that issue too. Then on July 1, 2016, I was honored to get a call from Dr. Bloembergen, and we discussed several issues such as his abandonment of his childhood faith that he was brought up in, and I mentioned that Charles Darwin had gone through a similar situation. He seemed to know a lot about Darwin’s background. On July 3, 2016, I responded to our phone call with an email that basically recapped several things that Dr. Bloembergen and I had discussed in our phone discussion 2 days before. I pointed out to him on the phone that day that each religion was different and that in recent history it was Islam fanatics that were guilty of so much killing, and Dr Bloembergen seemed to resist that by saying that Muslims are not getting treated very well.I addressed this in my email of July 3rd that is posted below. So far in 2017 there are have been 1,049 attacks and 6,571 fatalities by Muslim radicals. In fact, on October 31, 2017, Eight people are killed and almost a dozen injured when a 29-year-old man in a rented pickup truck drives down a busy bicycle path near the World Trade Center in New York. The suspect has been identified as Sayfullo Habibullaevic Saipov. Authorities found a note near the truck used in the incident, claiming the attack was made in the name of ISIS, a senior law enforcement official said. I wanted to share with you a correspondence I had with Dr. Nicolaas Bloembergen of Harvard. He won the Nobel Prize in Physics in 1981 and was born in Dordrecht, the Netherlands on March 11, 1920. He spent the last two years of World War II hiding from the Nazis. I found his story very interesting. Less zealotry and more compassion for those who have different concepts of the world from yours would help make this world more livable. Is religion the cause of most wars? Well, according to Sam Harris and Richard Dawkins, avowed proponents of the New Atheism (nothing new about the substance, just voiced in a new and vitriolic tone), the answer is yes, religion is the cause of most wars. Harris states that religion is, “the most prolific source of violence in our history” (The End of Faith page 27). 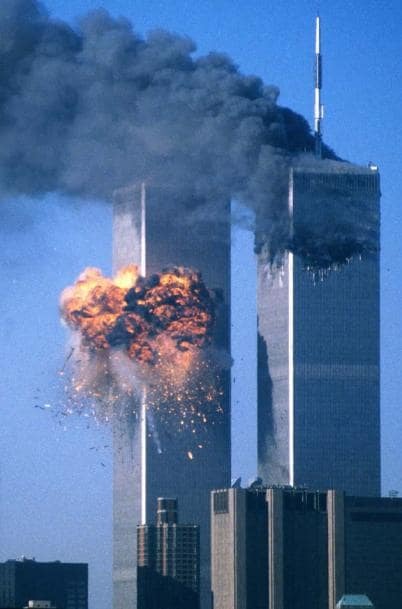 Not to be outdone, Richard Dawkins offers the claim that, “There’s no doubt that throughout history religious faith has been a major motivator for war and for destruction.” When one hears such ‘truth’ claims being propounded, a simple, but yet, the profound question must be asked, “is that true?” Sad to say, most people don’t take the time to ask this simple three-word question when hearing such supposed truth claims.  In 5 millennia worth of wars—1,763 total—only 123 (or about 7%) were religious in nature (according to author Vox Day in the book The Irrational Atheist).  If you remove the 66 wars waged in the name of Islam, it cuts the number down to a little more than 3%.  A second scholarly source, The Encyclopedia of War edited by Gordon Martel, confirms this data, concluding that only 6% of the wars listed in its pages can be labeled religious wars.  William Cavanaugh’s book, The Myth of Religious Violence, exposes the “wars of religion” claim.  a recent report (2014) from the Institute for Economics and Peace further debunks this myth.  A strong case can be made that atheism, not religion, and certainly not Christianity, is responsible for a far greater degree of bloodshed. Indeed, R.J. Rummel’s work in Lethal Politics and Death by Government has the secular body count at more than 100 million…in the 20th century alone. The conclusion: between 6-7% of all wars have been religious in nature. 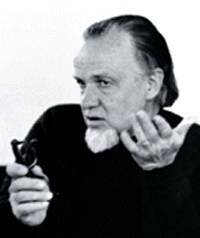 (the Islamic dynamic set aside) When you consider that the body count that has been tallied in the 20th century under atheist/naturalist/Darwinian evolution promoting governments has come to over 100 million, one has to ask, “what ideology is truly the driving force behind the vast majority of wars waged by humanity?” The evidence does seem somewhat conclusive, doesn’t it? 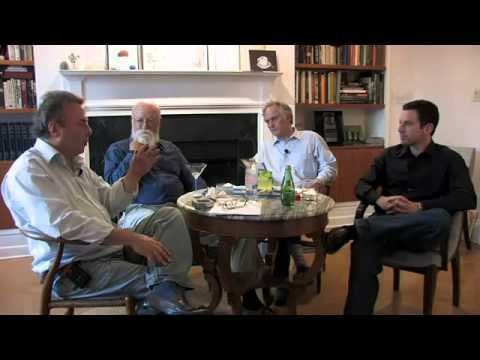 There is no arguing that religion has been the cause of war and violence on occasion, but it is a gross overstatement, exaggeration and distortion of the facts to say that “the most prolific source of violence in our history” has been “religious faith.” Obviously, Harris and Dawkins are not historians, nor have they consulted the experts in the field of history. Religion & War–Dr. Ravi Zacharias New Atheist proponents often condemn and points the finger at religion for the suffering of the earth, and in particular, as being the cause of most of the wars and suffering that results. Ravi Zacharias deals with this alleged truth claim head-on in the following video clip.